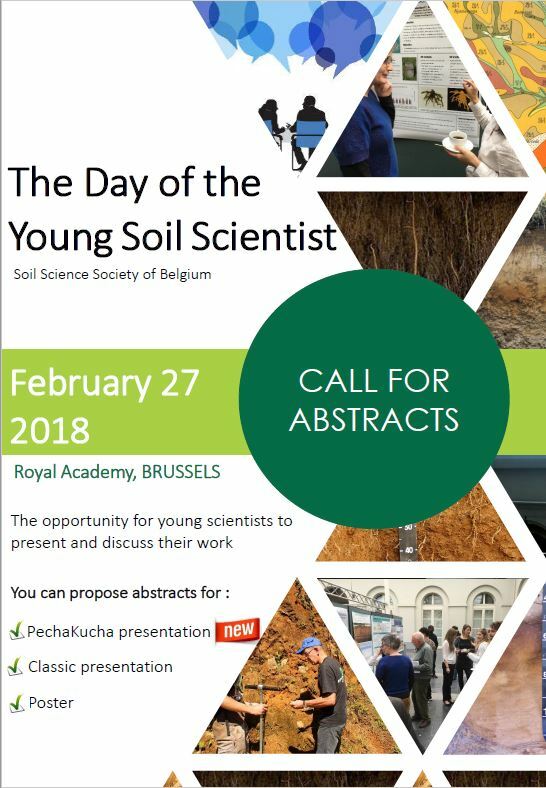 Every year the SSSB is organizing a Day for the Young Soil Scientists. This year, the young soil scientist representatives have taken the challenge to organize a vibrating event. The main idea is that young soil scientists studying or working in Belgium (both Belgian researchers/students and foreign researchers/students working/studying in Belgium) get to know each other, learn about new research initiatives, both in Belgium and abroad, and get the chance to present results from their research. Are you a Master thesis student, a PhD student or a young Postdoc: show us what you have in store on this interesting day! What is new? This year, it is possible to take up a challenge to present your research in a PechaKucha format. Participants present a slideshow of maximum 20 images where each image is shown exactly 20 seconds. The perfect opportunity to be creative and efficient to tell great stories about your projects.